"When’s my next paycheck?" I asked myself. I just quit my job working business sales at Apple and studying at Bonnie Gordon College of Confectionary Arts (RIP) and I couldn’t count on my standard paycheck anymore. soooo yea, my money situation became very questionable because my consistent income just turned into whenever someone decided to pay me for a cake. Now, I’m the type of person who loves consistency and I like knowing when I can count on something to happen. Which didn't quite work out when I started my journey of being a full-time entrepreneur. One of the greatest things about working a typical 9-5 job is the consistent paycheck you pretty much expect every other week. You know it’s coming as long as you put in those hours at work. buuuuutttt…….. when you manage your own business, you have to create the business and income you want instead of relying on someone else to give it to you. 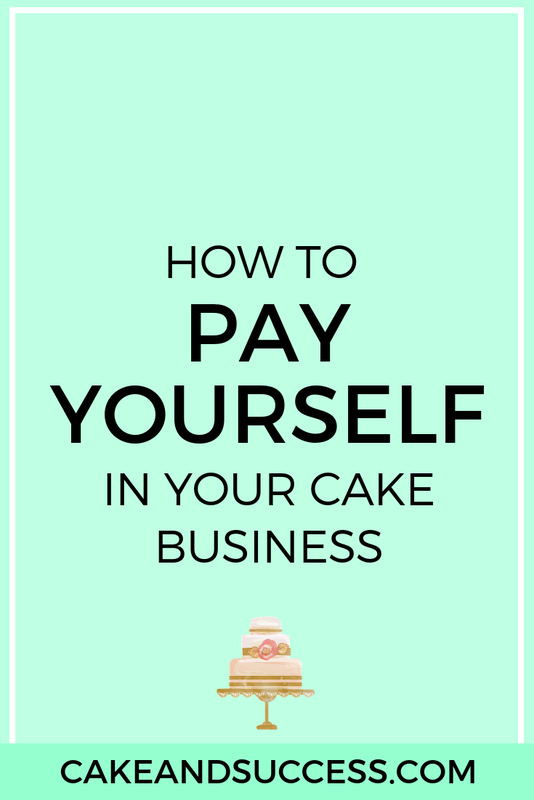 Turning your cake business from every so often money coming in into a consistent flow of cake orders is something you can 100% do for your business. Here are a few strategies that have really helped me. First, with consistent marketing comes consistent income. The more consistent you are with your marketing, the more consistent your income will be. Whenever I found myself falling by the wayside with my marketing, my business sales always dropped. To turn it around, I had to recommit to my marketing and make it a non-negotiable to consistently "get the word" out on my business to keep my income more consistent. Next, I want you to focus on making physical and mental apace for more orders. A lot of times, we can mentally block more orders from coming in simply because we subconsciously block the orders from coming in. Additionally, we physically don’t have the space, not enough support, or can’t fit more cakes into our already jammed backed schedule. We believe we won’t have enough time for more orders, we believe our cake business will take up more time already with more cake orders, we believe we can’t handle the workload. Take some time to really think about how you are mentally and/or physically blocking orders from coming into your business. Make the space and God/ The Universe will fill that empty space with a bigger workload. Lastly, eliminate what isn’t working. Being an entrepreneur can be sooooooo daunting with soo much crap to do! This year, I decided to purge my businesses and take away what 100% has nothing to do with me making money. I eliminated, deleted, and let go of tasks that just don’t make me happy AND tasks that don’t make my business money. Take inventory of what’s not working in your business and STOP DOING THEM. You will feel lighter, better about your business and happier about your business because you are focusing on truly growing your business. 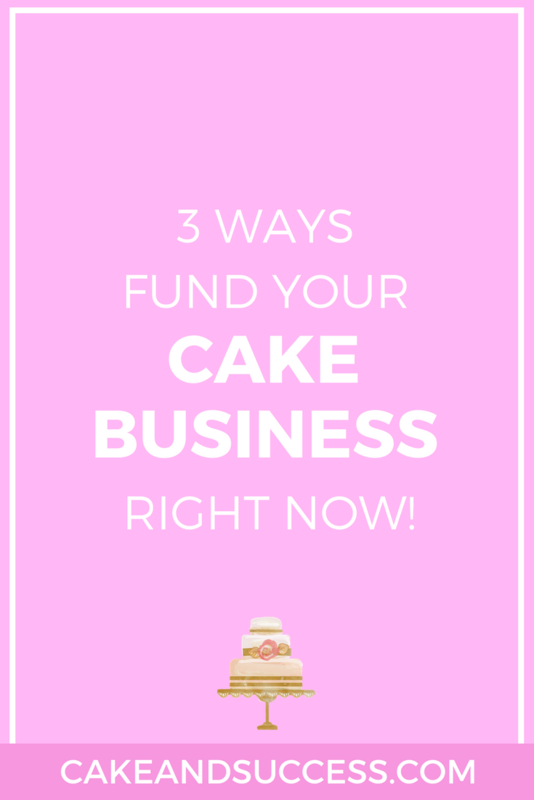 Growing your cake business = Charging more for your cakes + Increasing your cake orders. Work with that equation and your business will 100% grow where you can financially support yourself and your family with your business and have a booked solid cake calendar! This year’s cake Calendars are being filled as we speak. How’s your calendar filling up for this year? Are you booking few and far between? Are you 100% booked up this year? Doubling your cake bookings and attracting better paying clients into your cake business isn’t something that happens by luck. It takes clear approach for how to attract better paying clients into you cake business using proven strategies that work! Are you struggling to book high-end cake orders in your local area? Ready to Double your Cake Orders month after month and have the blueprint to make that happen? Do you need the BEST booking strategies that will work for you in your cake business? 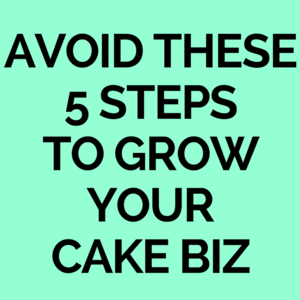 I have a free eBook that will help you learn my Top 4 Booking Strategies to Double your Cake Orders in your Cake Business and apply them to your cake business today! Click the button below to download the Free Guide Now!